Bob was born on December 15th 1928 in Calgary Alberta, the youngest child of Arthur Norris and Susie Finn Norris. He passed away on February 15th 2016 in Calgary Alberta. 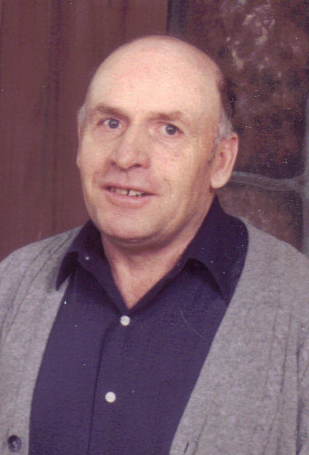 Bob lived and farmed on the Norris homestead in the Glendale district near Cochrane Alberta his whole life. Bob is survived by his wife Mavis, his stepsons Marty Robinson (Marilyn Burrows) and Tim Robinson (Julie), his three grandchildren Jennifer, Brett and Andrew Robinson, eight nieces and nephews and their spouses, numerous great nieces and nephews as well as many cousins and honorary nieces and nephews. Bob was predeceased by his brother Sidney and sister-in-law Rose, his brother Phil, his sister and brother-in-law Ellen and Henry Buckler, and by two nephews Tommy Buckler and Victor Buckler. Bob was a lifetime member of the Bearspaw Lions Club. The Celebration of Life Service will be held on Monday February 22, 2016 at RockPointe Church 255024 Lochend Road (On the corner of the 1A Highway and Lochend Road in Bearspaw.) Rev. Matt Boda presiding. Visitation beginning at 1:00 pm. Service at 2:00 pm with a reception immediately following. If friends so desire, memorial tributes may be made directly to the Canadian Cancer Society; Alberta Northwest Territories Division (200-325 Manning Road NE Calgary, AB T2E 2P5 www.cancer.ca). To the family of Bob When I think of Bob I think about his life how he was so proud of being a farmer for over 100 years I sensed he believed that hard work and honest sweat was the building blocks of a person. He believed farming provided a education for life no other occupation teaches so much about birth,growth and maturity in such a varity of ways Dave spent many years working and milking and building barns on the farm has many fond memories of the Norris brothers. Farming was more then a profession it was a way of life. A life well lived. I spent many hours working for Rose and Sid in my younger years, Bob and Phil were always there. We shared many meals together. Bob and Phil were great teasers. We had many laughs and good times. There is a place in my heart for all of you. God Bless You Bob. My condolences to all of the Norris family. On behalf of my family, please accept our condolences on your loss. I had the opportunity to meet Bob through my childhood friendship with his nephew and niece Arthur and Sue, and through my father’s involvement in the Bearspaw Lions Club. Bob always impressed me as a person who was gentle, kind, good, patient and faithful.